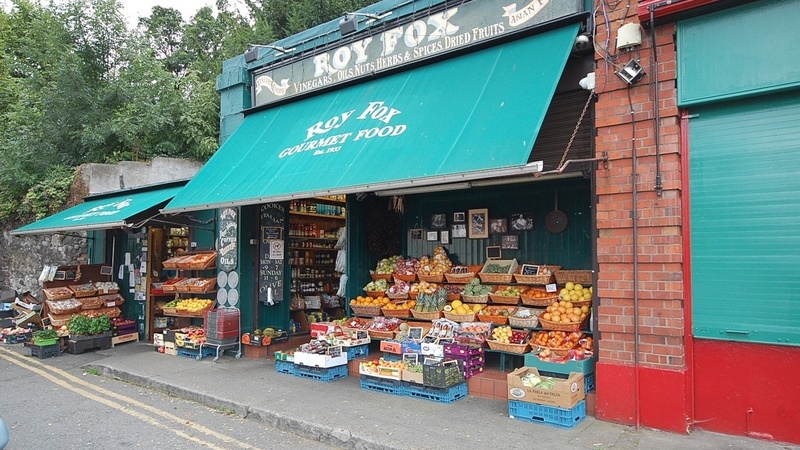 Donnybrook’s Roy Fox greengrocer closed after 83 years | Come Here To Me! « Reminders of the legendary Adelphi. 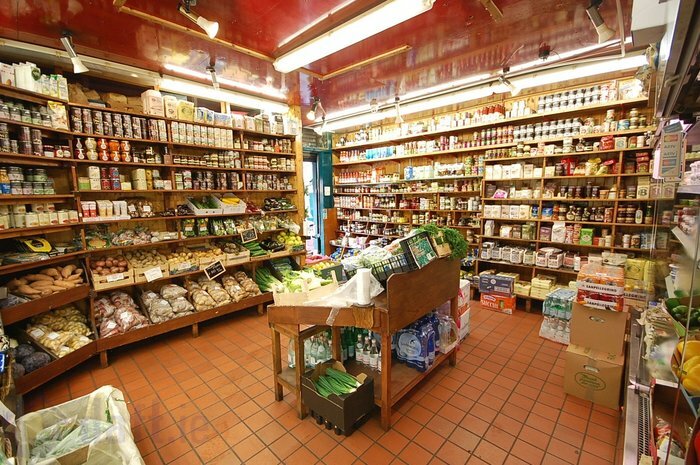 Roy Fox, the independent and family run greengrocer in Donnybrook, closed its doors just before Christmas for the last time after over eighty years in business. It was known for its extensive selection and colourful display of dried and fresh fruits, vegetables, herbs, spices and cheeses. The exterior of Roy Fox. Credit – Irish Times. When it was first opened by Hugh Roy Fox at 49 Main Street, Donnybrook in 1933, a delivery man tipped off two young people in the grocery trade that there might be a chance of a job there. Frank Donnelly and Shelia Harbourne, who then did not know each other, were taken on as assistants. After only five years in business, a 25-year-old and single Roy Fox died of TB on June 1st 1937. At the time, he was living at 2 Windsor Terrace off Lower Pembroke Street, Dublin 2. His assistants Frank and Shelia took over the running of the shop as business partners and later married. traditional grocery shop, weighing pounds of sugar into bags, slicing ham and delivering large orders to customers. The domestic fridge was beginning to make its appearance but many women shopped everyday, buying in small amounts in a process known as “getting the messages”. When Frank died in 1968, their 19 year-old son Des took over the running of the business with his mum Shelia. Initially, he was not too keen on the idea. He told Roz Crowley in the Irish Examiner (15 January 2000) that he wanted to originally go into market gardening like his uncles. I really didn’t like the grocery business. I wanted to be out of doors, planting fruit and vegetables, enjoying being in the sun … I shocked my mother with a compromise suggestion to turn the grocery shop into a fruit and vegetable shop. They cancelled their order for bread and sugar and soon started to import what vegetables and fruits they could. A customer today would be astonished to learn how little produce was available in those days. We would have cabbage, carrots, sprouts, cauliflowers, kale, turnips and potatoes, but these were very seasonal. Celery finished at Christmas, not to appear again until the following Autumn. Imported produce was limited to bananas, apples, pears, grapes and melons, and a few other items. This was before we joined the Common Market as it was then known. Importing of fresh produce was very difficult, and in lots of cases prohibited. Joining the Common Market made importation of courgettes, peppers and aubergines possible, along with other foods we see today. By the 1980s, the shop was selling a large selection of exotic produce. Journalist Marion Foster marvelled in The Irish Times (27 March 1986) that she “saw mangoes from Peru at £1 each, nectarines from Chile for 35p, fresh dates from Israel at £1.50 per pound, Ugli fruit from Jamaica for 65p.” She was also taken by the range of ogen melons, kumquats, bean sprouts, fennel and other delicacies. With a growing immigrant population and Irish test buds developing, the shop did well during the Celtic Tiger years of the 1990s and early 2000s. Sadly Des Donnelly passed away in 2008 at the age of only 59 from a heart attack. His daughter Joanne took over the business but decided to sell up in 2016. Their last day of business was 16th December 2016 and the property was put on the market for €400,000.